From several notable vantages, there has been a great infusion of artistic energy in the blossoming Utah Enlightenment, a creative movement that demands courage in the making of art. And, especially in Utah’s peculiar environment that gives civility, docility and adherence to faith much higher value than often deserved, courage becomes critical in ensuring the secular realm is nurtured by a greater sense of purpose than for the sake of showmanship and entertainment. 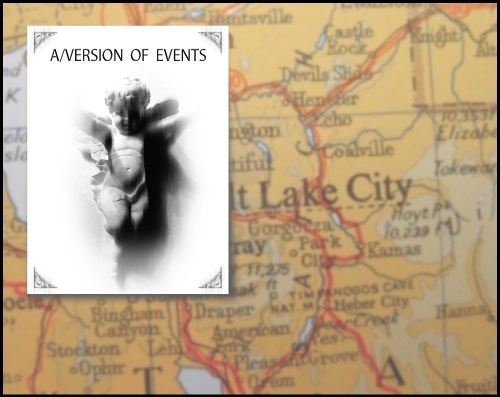 The current Plan-B Theatre production of Matthew Ivan Bennett’s newest play ‘A/Version of Events’ is an outstanding addition to the growing canon of Utah Enlightenment works. 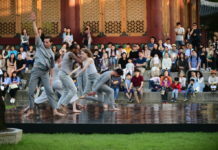 It achieves precisely what Abramović explains as vital to the experience of substantive artistic expression. Cooper and Hannah, a married Mormon couple in their middle 30s, are heading through Pennsylvania on their way to Hershey’s Chocolate World. However, this trip represents a significant purpose for a couple wondering if their marriage can survive and heal after the death of their son, Braeden, who was born with severe disabilities and had drowned in an accident. 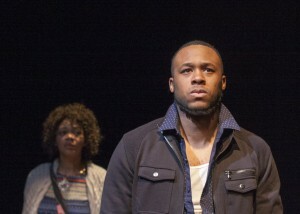 The details of this emerge late in the play. 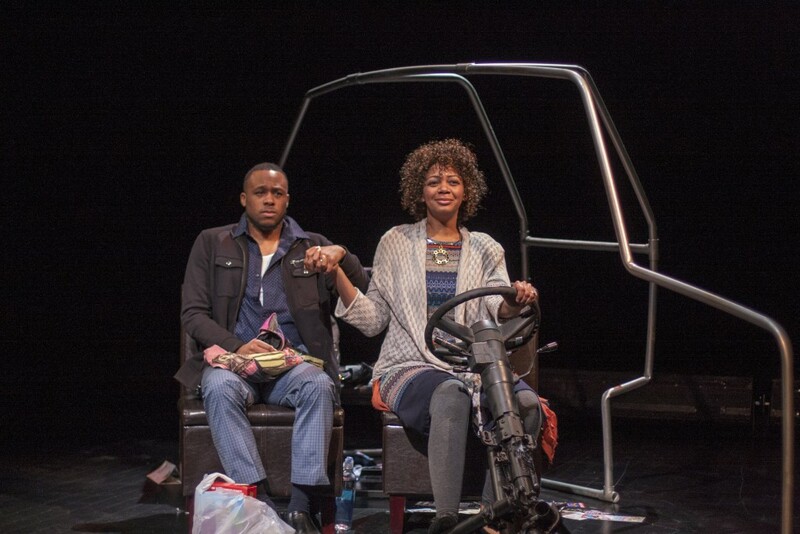 In handling the wider topic of bereavement and the utter shock of a how child’s accidental death can render the marital relationship as strange and unfamiliar, Bennett’s play is brilliant. It establishes a strong sense of place while simultaneously demonstrating the tremendous difficulties of articulating grief and of the prevailing senses of unreality and dislocation with which Cooper and Hannah must contend. 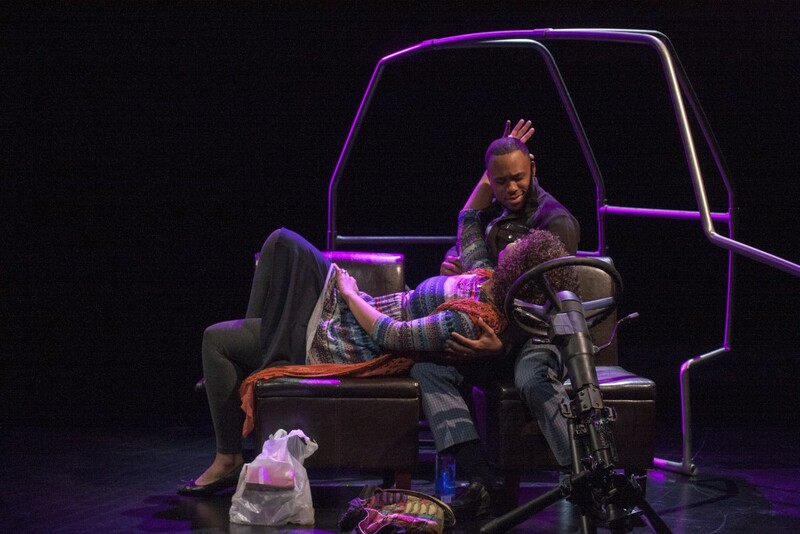 And, it is the searing, riveting and magnificent performances of Carleton Bluford and Latoya Rhodes which show just how a couple’s struggle to cope with a child’s death is so chilling and stunning in its reality. So convincing is the performance that one could believe Bluford and Rhodes are the actual married couple, down to body language and facial expressions. It is a most powerful depiction in every sense – a new hallmark in Plan-B Theatre’s distinguished record of bringing courageous new works to the stage. Cooper and Hannah have different agendas, both struggling with the profound foreign effects of the route they are traveling on westward from New York City into Pennsylvania. Cooper believes solace is to be found in strengthened kinship with Mormonism. Hannah sees the shortcomings of emptiness, even betrayal, in a religious faith that cannot offer sustainable explanations for events. At this point, the emotional battle is pitched at rapidly ascending intensity – a stark, realistic display of why many marriages are vulnerable to collapse after the death of a child. Pulses of contempt punctuate the dialogue more frequently. Cooper’s fixations make him miss his wife’s earnest emotions and intentions. Instead, they amplify his imagined perceptions of negative behaviors and patterns that appear to be conspiratorial without legitimacy or justification. Meanwhile, Hannah turns icy at times, minimizing her husband’s feelings and dismissing them too quickly. The question becomes whether these raging waves of meanness and contempt will inevitably overwhelm those of kindness and love both apparently still carry for each other. Bluford and Rhodes are exceptional in this difficult scene. They demonstrate so effectively how hard it is for kindness to be displayed during a fight even as they are acutely aware of why this would be the most crucial time to be kind. Bluford and Rhodes shine as exquisitely disciplined actors, reminding us of the dangers of letting our emotional aggression and contempt spiral to a point of no-return where the relationship damage could never be repaired. 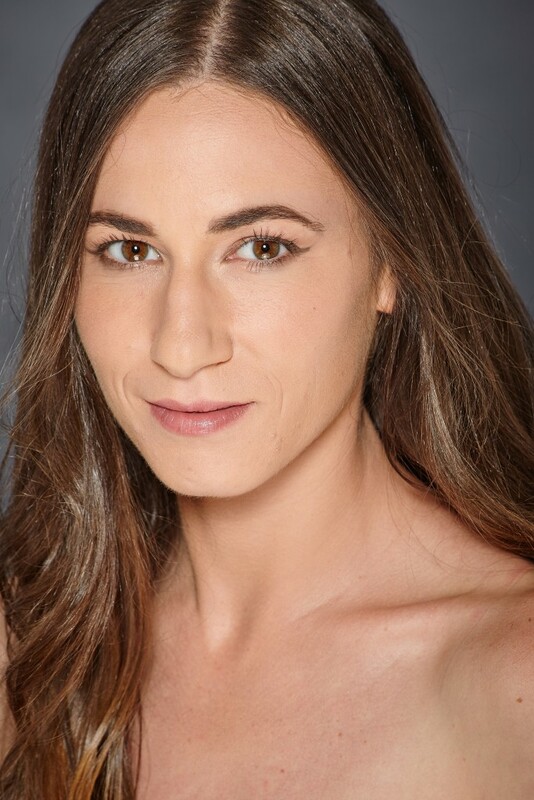 Adding deeper resonance to the production, set nearly entirely in an automobile, is Christy Summerhays’ direction and Cheryl Ann Cluff’s music and sound design, helped significantly by Bennett’s own script suggestions for Hannah’s ‘road mix.’ The music includes ‘The Power of Love’ by Huey Lewis and The News, ‘Faith’ by George Michael and ‘Take My Breath Away’ by Berlin, just to name a few. Cooper and Hannah act out through these musical interludes, enriching yet further Bennett’s comprehensively detailed character portrayals. Bennett’s ‘A/Version of Events’ stands out precisely because it critiques the long-standing American ethic of our willingness to pass over almost effortlessly the pain of grief. To outsiders, particularly those who are not directly bereaved, any display of grief lasting longer than a few weeks or months might appear selfish or indulgent. While we like to think our culture encourages talking openly about death — especially in a post 9/11 world where social media have served extensively that purpose — the fact remains that the process of mourning is rigidly accepted as a private, internalized one, except perhaps when a celebrity or prominent public official dies. 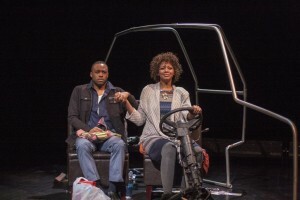 In Bennett’s play, brought so memorably to life by the searing performances of Bluford and Rhodes, we learn it’s okay to accept grief’s messy, complex process that does not have to become an exercise of navigating neatly defined stages. By the play’s end, we recognize it is grief’s messiness which makes us most uncomfortable, almost to the point of being blinded, for example, to the still important ‘come weal, come woe’ proposition of marriage. Five performances remain and tickets are available for all shows in the run which ends March 15. Ticket information is here.